Even if cool days are just a fantasy at the moment, chilly weather is just around the corner — I promise! 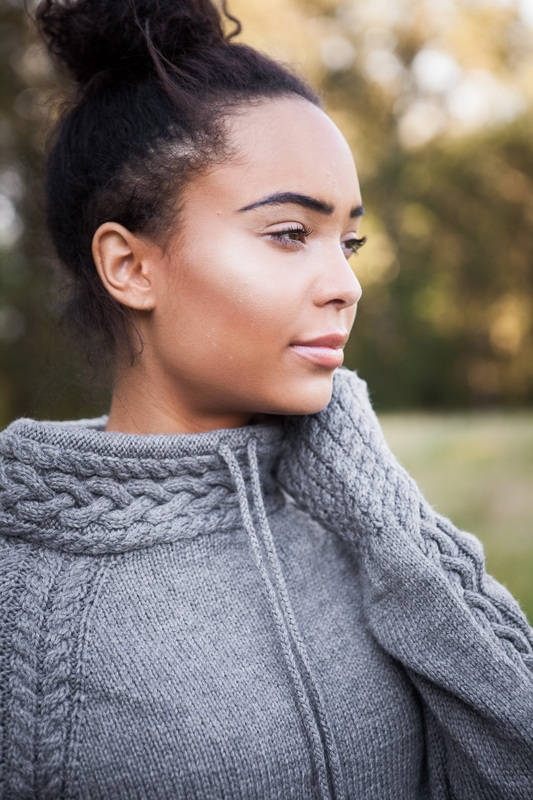 Knit Picks is getting us ready with their Twist & Tweed 2015 Fall Collection. 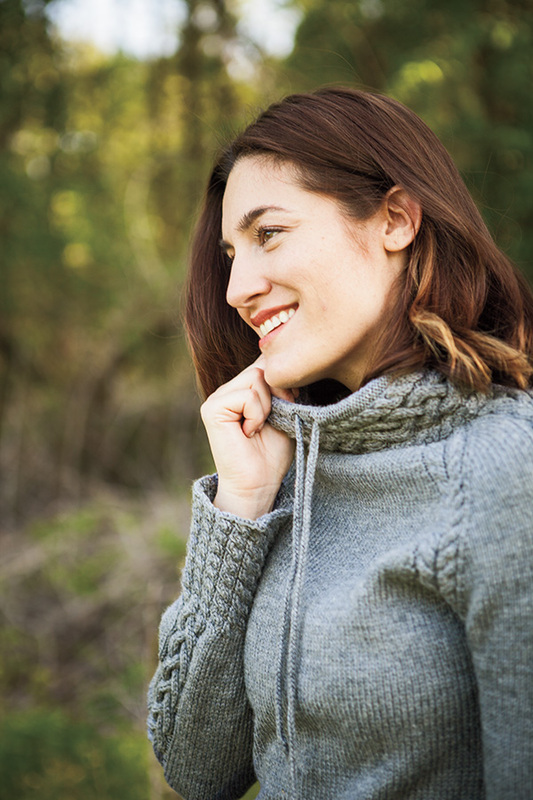 16 lovely knits will put you in the mood for fall, wrapping you in stylish warmth. My contribution, Harley, is a cabled, drawstring pullover that is designed to combine comfort and style. Positive ease and vents at the hemline add to the flattering fit. Harley is available individually from Knit Picks, or, as part of the softcover or eBook Twists & Tweeds 2015 Fall Collection. This sweater is so amazing in so many ways. It looks like it would flatter many different body shapes. I can’t wait until I receive a copy of this book so I can make one. You really knocked it out of the park. I love this pattern, but I needed to find a yarn substitution. For some reason, I just couldn’t get the row count reasonably close, although my stitch count was okay. As a result, the armhole was about 8 inches too big, and I’ve now got a dress! I just don’t understand why the row count is off, when usually I don’t have gauge problems. Any suggestions you might have would be appreciated, because I’d like to try the pattern again. Yarn substitutions can be rough. Especially after blocking because different yarns can react so different. Some stretch out a great deal while others do not. The full right to Harley are now owned by Knit Picks, so they provide all pattern support. If you need to substitute a wool yarn for another fiber, they may be able to suggest one. Hope this helps! I understand that knit stitches are slightly longer than they are wide, but the gauge didn’t make sense to me at all. But thanks for your response; maybe I will try Knitpicks–I’ve purchased enough of their eBooks! Yes, the cables are in chart form, only. Thanks!